Detect when a user presses a number on the keypad during a call. The number they pressed is sent back with the Voice delivery receipt. 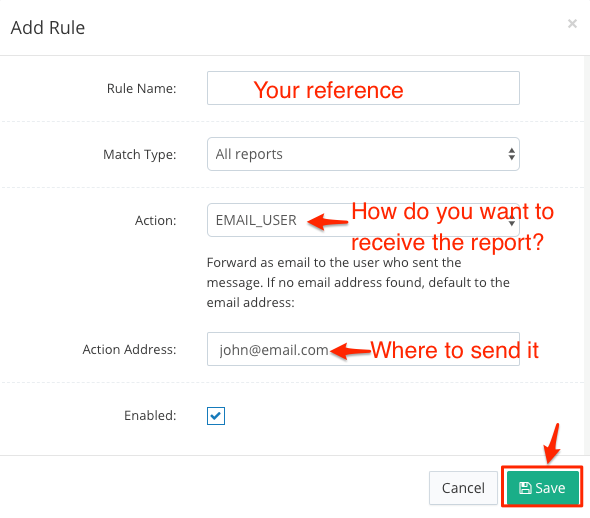 Open the dashboard -> Voice delivery report settings. Click + Add New Rule. If this doesn't suit your needs, ee can develop any custom solution you require. Get in contact with our team 24/7 to discuss what we can do for you. Does your Voice (TTS) service support DTMF tones? How does answering machine detection work?